The SHIMA TARMAC is a snug and modern line for the demanding. ensuring anyone and everyone can find the right pair. The SHIMA TARMAC is constructed from denim and stretch. 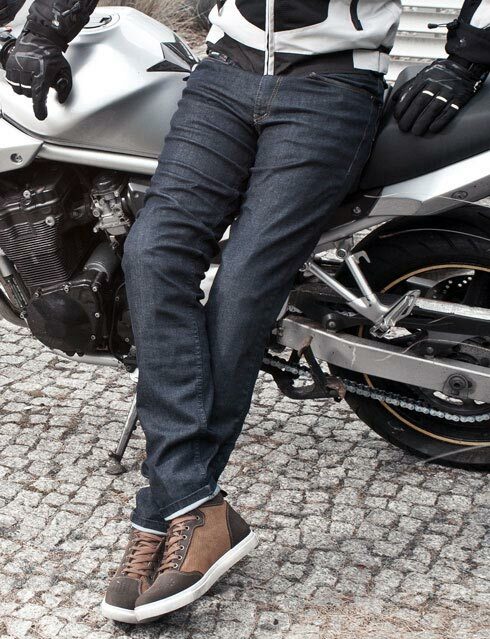 Featuring Comfort+™, a specially designed crotch area, the TARMAC is great for riding. A special wedge-shaped insert allows you to raise your leg higher than ever, all without sacrificing the pants' sleek line. The fabric that goes into the construction of the SHIMA TARMAC is characterised by both its classic look, and by the high degree of protection it provides. The unique aramid weave featured in the material ensures a tremendous resistance to both mechanical and technical factors, providing enchanced protection. Duralid™ is a unique, heavy-duty aramid weave, designed to protect the body parts most at risk of serious injury while going over the edge. 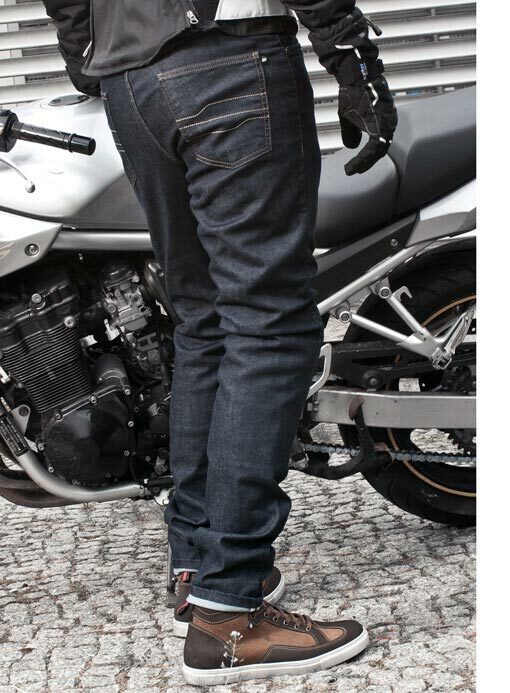 Used in SHIMA jeans, Duralid provides superior protection while maintaining a sleek, classic look and breathability. 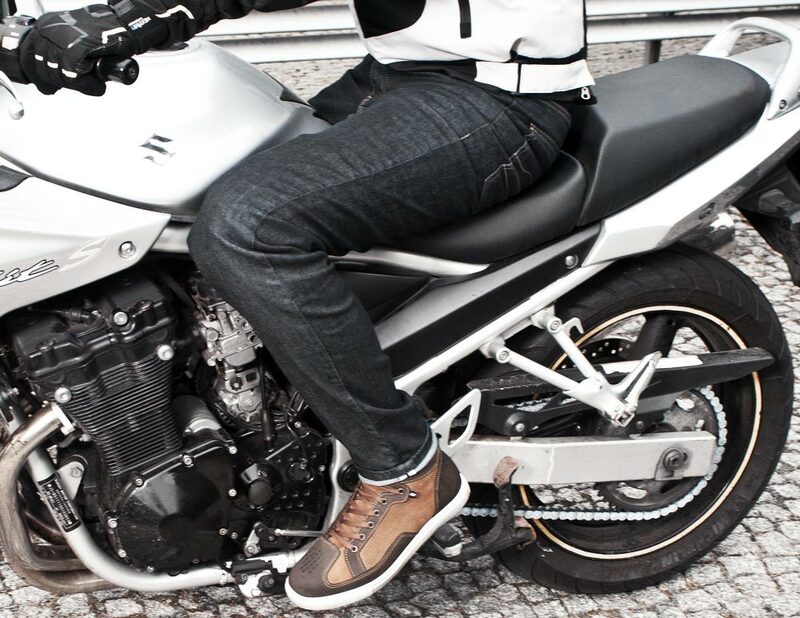 Specifically designed for motorcycle jeans, the Comfort+™ technology makes straddling your bike a breeze. A pair of jeans equipped with a Comfort+™ crotch area features a wedge-shaped insert, allowing you to lift your leg higher while keeping your pants sleek and comfortable. Duralid is a unique, heavy-duty aramid weave, designed to protect the body parts most at risk of serious injury while going over the edge. 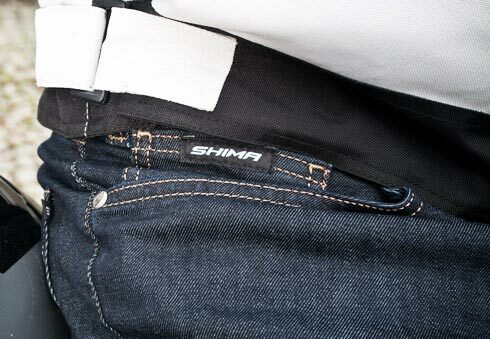 Used in SHIMA jeans, Duralid provides superior protection while maintaining a sleek, classic look and breathability. What’s more it can be detached and mounted back easily thanks to unique zipper system. So it’s convenient for washing or wearing the pants for everydays use.